Whether you need to host a single global conference call from Malaysia or multiple calls throughout the year, you’ll appreciate the flexibility of our pay-as-you-go global conference calling plans. Located in Southeast Asia, Malaysia is home to more than 30 million people. Whether you’re visiting the country temporarily or have a permanent office in Malaysia, our global conference calling service makes hosting global conference calls from Malaysia both easy and affordable. Why Use an International Conference Calling Service to Host Global Conference Calls from Malaysia? You may have a sophisticated PBX system with conferencing capabilities or access to a domestic conference calling service. However, with international conference calls, these systems force participants to dial international phone numbers in order to participate in the call. This could cause a host of problems including: trouble connecting, delays in joining the call due to dialing issues, audio problems, international long distance tolls imposed on participants, dismal attendance, and even resentment. Our Malaysia global conference calling service avoids these problems. You could host your international conference call from Malaysia, but issue national or toll free access numbers that are local to your participants’ countries. For example, your participants located in New Zealand would dial an access number local to New Zealand while your participants in Hong Kong would dial a Hong Kong access number. Increased attendance — The access number will no longer be a barrier to joining your Malaysia global conference call. Less confusion — Everyone will receive a familiar-looking access number. There’s no need to look up country codes or ask an international operator for help connecting to a foreign phone number. Improved connections and sound quality — All of your international conference call’s participants will be joined together over a fiber optic PSTN telecommunications network known for its quality and reliability. Even if your participants are located in countries with sub-par telecommunications networks, the audio quality of your conference call will be excellent as their networks are bypassed. Increased satisfaction — International access numbers improve the end user’s experience, improving overall satisfaction of the global conference call as a result. Joining the call is easy, it’s free or low-cost for participants, and the sound quality is amazing despite joining callers from around the world. Improved communication — When you have a reliable, high quality international conference calling service for your conference calls in Malaysia, you may be more inclined to use it. Thus, you can build stronger interpersonal relationships with your international team, business partners, and others by joining together more often in global audio calls. 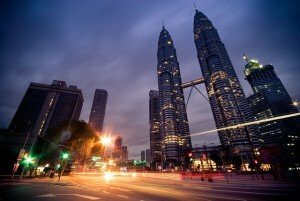 Hosting Malaysia global conference calls with our service is an affordable choice, too. Our per minute international rates are extremely competitive. For example, toll free global conferencing rates for participants in Malaysia as of this writing are just $0.09 per minute. Your calls from Finland would cost just $0.18 per minute toll free or $0.10 per minute if you issued a Helsinki access number. For countries with higher international calling costs, consider using our moderator dial out feature to reduce your costs by dialing participants directly. There are no contracts, no commitments, and no minimums. Simply pay for the minutes you use — and cancel anytime with no penalties. Getting started is easy. Sign up for a Malaysia global conference calling account today here.